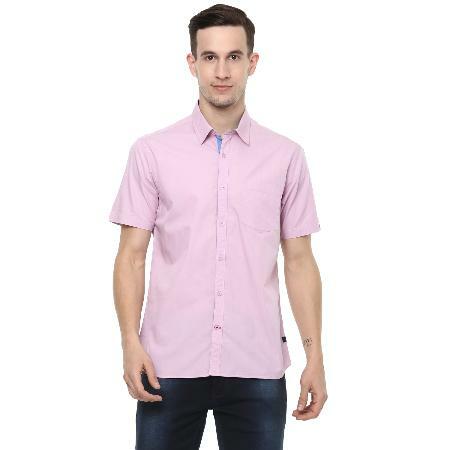 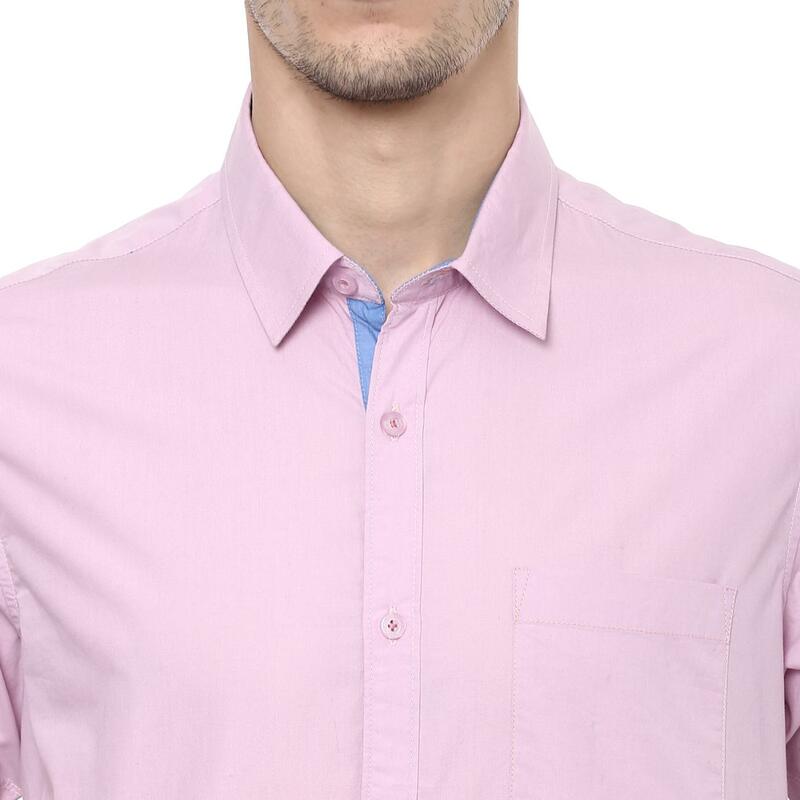 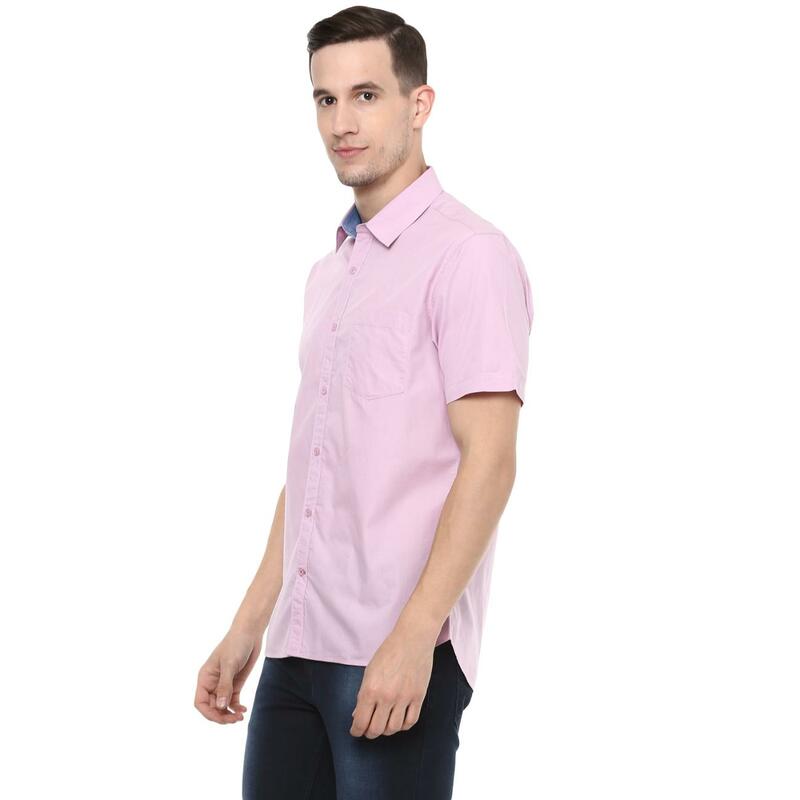 As classy as it is smart, this light pink shirt from Red Chief stays in vogue throughout the dynamic trend. 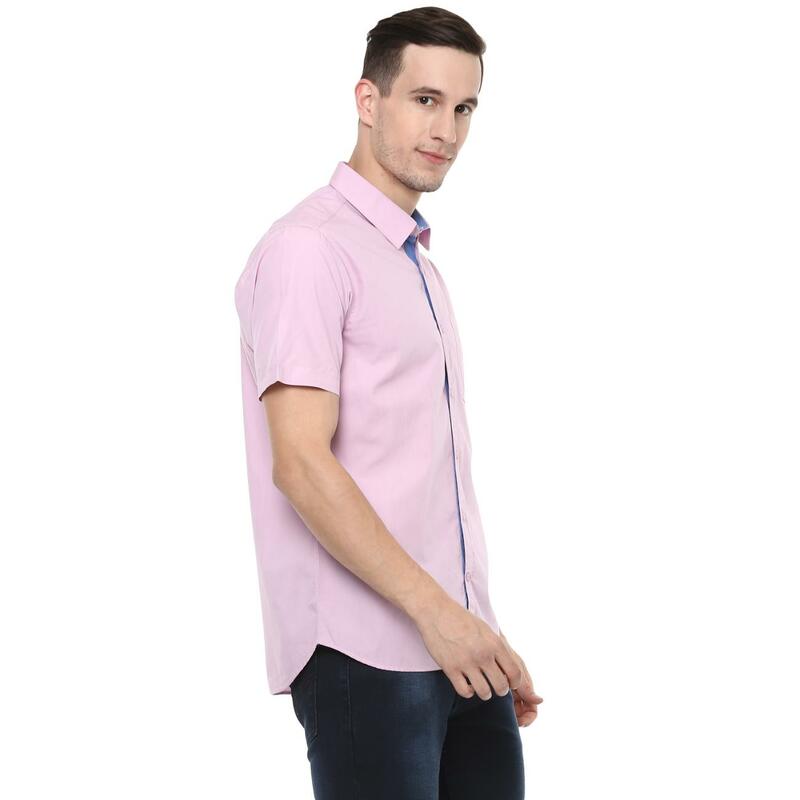 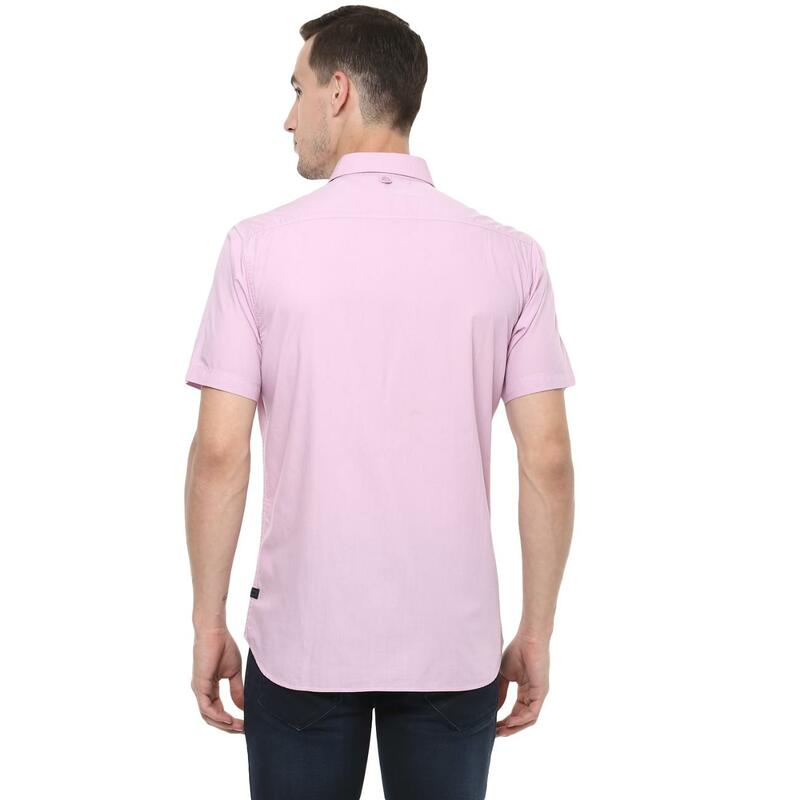 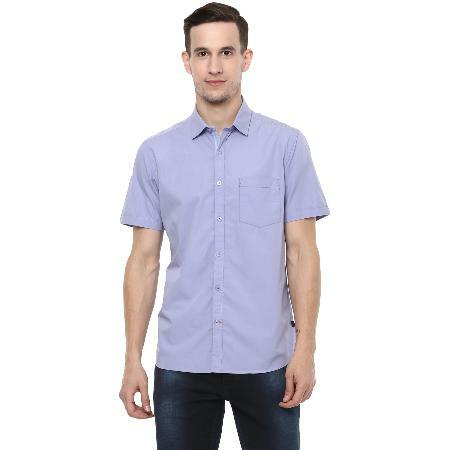 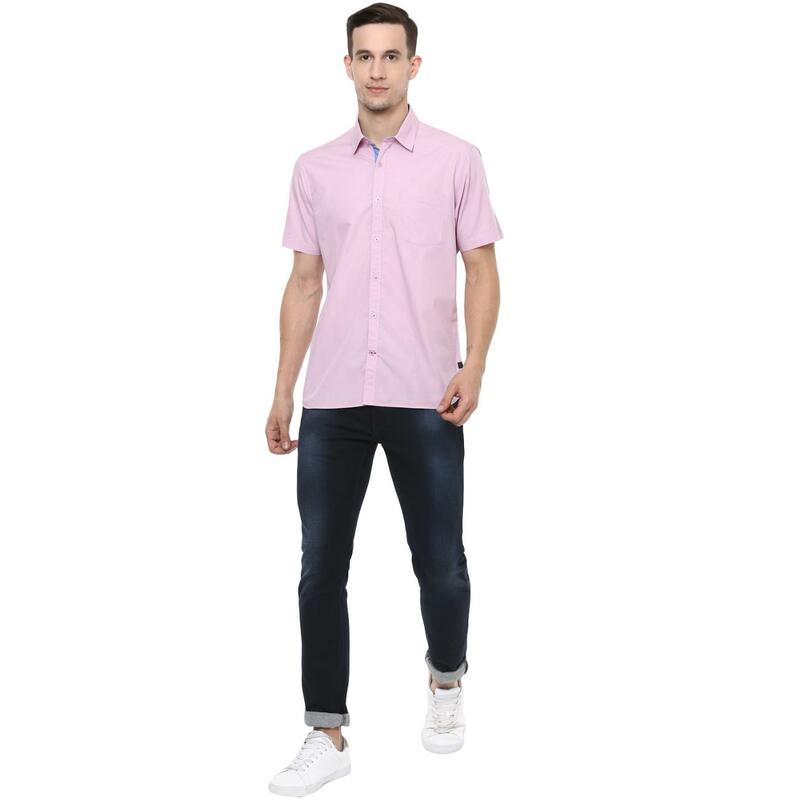 Designed with spread collar, half sleeves, full button placket on the front and slim silhouette that lend it a smart finish, this 100% cotton shirt also has 1 patch pocket on the left chest. 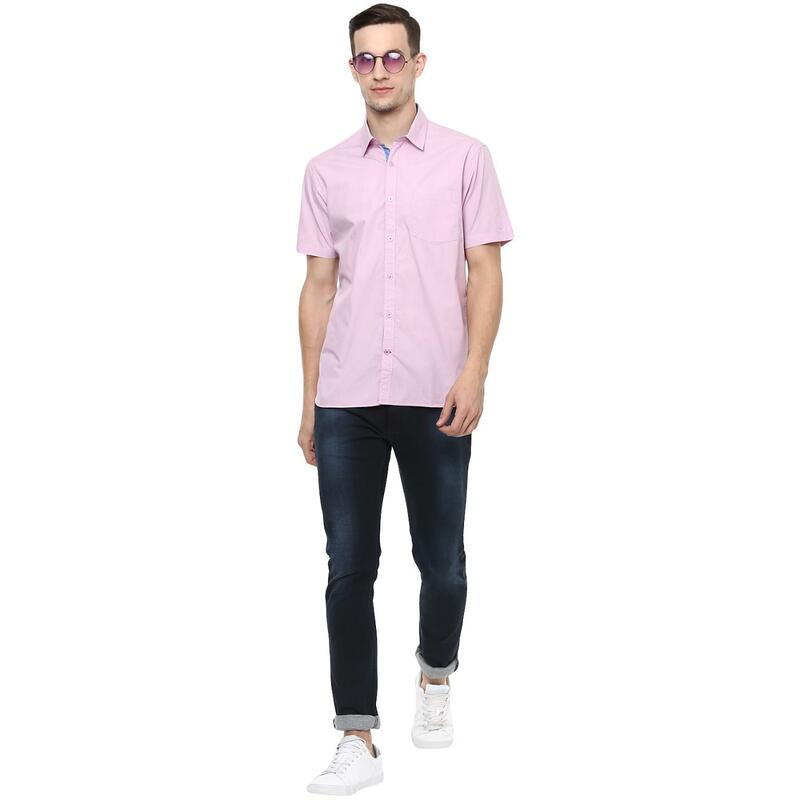 It will look great with jeans and trendy shoes.